Alexia Petersen (B.A., M.A. Litt.) is Canadian and completed her studies at the University of Toronto and Queen's University, Kingston. She has been living in Aachen, Germany, and has worked in adult language education and intercultural communication training for 15 years. Her very multi-cultural background includes not only her native North America, but the German and diverse Asian cultures. In addition to her native English, she speaks German, French and Mandarin-Chinese. Both her teaching skills and background and experience, which encompass three very culturally different regions, combine to make her a uniquely qualified instructor. In her earlier experience as a trainer in adult language education and business English for companies she quickly noticed the instinctive transfer of learners' native communication patterns to the foreign language being learned and its impact on cross-cultural communication. While this phenomenon is frequently observed by language trainers, the impact of "cultural conditioning" is generally not a main focus of conventional language courses. Our seminars, therefore, take as their point of departure the premise that, while language skills are a necessary tool that facilitates cross-cultural communication, it is only one tool. The real focus in developing long-term, effective cross-cultural communication skills lies in all those other cultural factors which can cause miscommunication despite the presence of a common language, or even when technical language skills are "perfect". This observation became the springboard for the development of an innovative conceptual framework to teach intercultural communication, which has been met with great success. The development of our seminar programmes draws of course from well-known concepts and models researched in the body of international literature on this subject. What distinguishes our approach, however, is that we have adapted and streamlined these into very useable tools and demonstrate their functionality, using both extensive practical examples collected over years from seminar participants, as well the insights we contribute from our own very multicultural backgrounds. Alexia Petersen teaches workshops on intercultural communication at the RWTH Aachen (Aachen University) and is frequently invited to teach at other universities throughout Germany and abroad. Her seminars are also part of the curriculum in the "Executive MBA for Technology Managers" Programme taught at the RWTH Aachen and University of St. Gallen, Switzerland. In addition, she writes on issues of intercultural communication and advanced English communication skills training and is a regular contributor to magazines (e.g. "Personal.Manager HR International" - the German-language trade journal on international personnel management; "partners - Italy & Canada" - the magazine of the Italian Chamber of Commerce of Toronto) and online publications. She is also a member of SIETAR (Society for Intercultural Education, Training and Research) and honorary member of the examination committee for English at the Chamber of Industry and Commerce in Aachen. 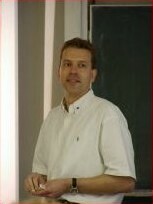 Stephan Petersen (Dr.-Ing.) received his doctorate at the Research Centre Jülich following his engineering studies at RWTH Aachen University. An engineer and scientist, he is also a technical and marketing manager with a young company that is active world-wide and based at the Technology Park of Herzogenrath (TPH), Germany. In his daily work in an international environment he has gathered over the years invaluable experience and insight into those aspects and methods of intercultural communication that are prerequisite for professional success. Through his work as an engineer in various functions with an RWTH high-tech start-up, he contributes considerably to the application- and practice-oriented approach of the seminars. As intercultural communication skills are routinely required in his professional workday, our seminar concepts are put to the test daily. This is the guarantee that our conceptual approach is not only innovative and convincing, but ultimately a functional tool for our seminar participants and customers that has proven time and again to be effective and applicable. His wide field of activities - all of which involve different aspects of intercultural communication - include product development (software) in international work teams; technical management, product management, participation in international research projects; seminar trainer and lecturer in Europe, North America, Asia, and Africa; daily support contact and consulting for customers around the world.